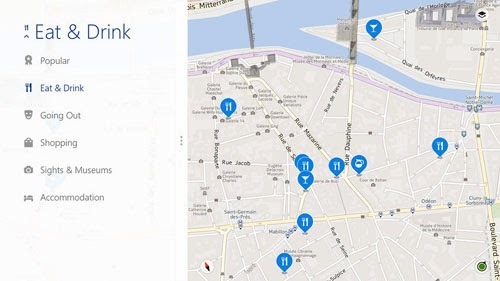 Nokia delivers HERE Maps app to Windows 8.1 users. Nokia's HERE Maps app is exclusive to Nokia Lumia 2020 tablets, and is a complete mapping app designed to work with or without a Wi-Fi or data connection. With HERE Maps for Windows 8.1 you can download and take your maps with you on your tablet. Get walking, driving and public transit directions to the places you want to go, all completely offline. HERE Maps is a perfect companion for your tablet. Plan where you want to go and save places so you can find them easily with your tablet when you're out and about. HERE. Maps for Life.